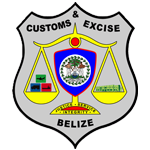 The role of the Belize Customs and Excise Department is to develop and implement an integrated set of policies and procedures that ensure increased safety and security, as well as developing the necessary platform to promote effective trade facilitation and revenue collection.It is the view of this customs administration that legitimate international trade is an essential driver for economic prosperity. We are fully aware of the importance of ultimately achieving a digital customs whereby additional automation and enhanced electronic activity would positively contribute to the improved coordination of our customs activities, and thus ultimately transform the way customs will operate. The new challenges of the 21st Century demand a new concept of customs to customs cooperation, real time collaboration between customs administration, and also between customs and the trading community in facilitating legitimate trade. We are all of the belief that the panacea to achieve this concept by the global customs fraternity is the creation of an international “e-customs” network that will ensure seamless, real-time and paperless flow of information and connectivity. This administration hereby pledge their commitment to our most valuable resource, our officers whom we will ensure have every opportunity to be a part of our continuous capacity building, in an attempt to enhance their competence, so that they may possess the ability to positively impact and transform the customs landscape. We also commit as an organization to continue our quest to identify additional strategies to improve professionalism, technical aptitude, responsiveness, and a better working relationship with the trading community and the public. 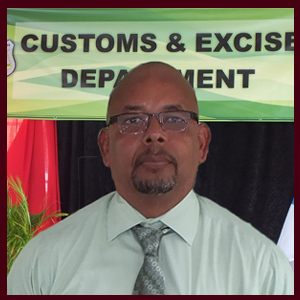 The Belize Customs & Excise Department will continue to ensure its key role in realizing the organization’s vision, to be recognized nationally and internationally for excellence in customs administration and service, as well as meeting the needs of customs and the international trading community. Custom Duties are applicable according to the rates set out in the Customs Tariff and Trade Classification, Chapter 48 Laws of Belize, First Schedule. The Belize Customs Tariff is modeled from the Harmonized Description and Coding System (HS). The rates are applied based on the Customs Value (Cost, Insurance, Freight )- CIF). Rates applicable ranges from 0 to 100% import duty with the majority of commodities attracting a rate of 20% import duty. Tour the Nation-Wide Launch Of ASYCUDAWorld Live. Browse Customs Brokers Association of Belize. View our entire Department by visiting our GALLERY.Take a look at our ARCHIVES by visiting our NEWS ROOM. Take a look at our OFFICIAL PUBLICATIONS. Search for Other Govenment Of Belize Department Contacts.